Douar Ait Ouffi, ASJS Km 26 Les Gorges du Dadès, Boumalne-Dadès, Drâa-Tafilalet, MOROCCO. 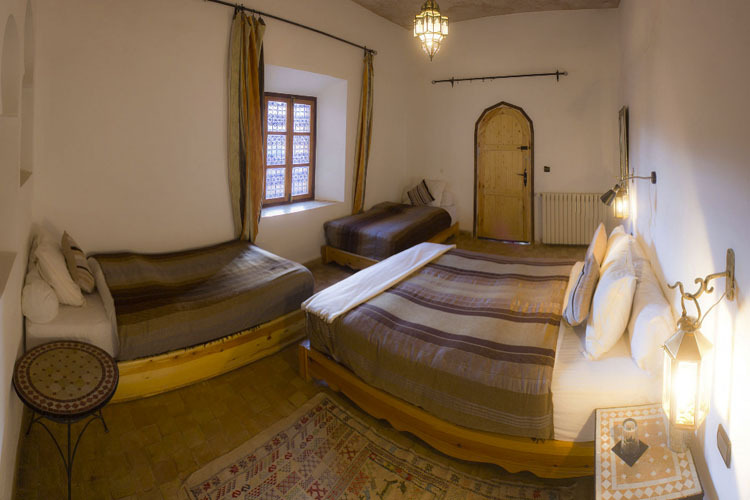 Enjoying an idyllic location, nestled on a hillside and surrounded by beautiful terraced gardens just below the Dades Gorge, Auberge Chez Pierre is a newly built small boutique hotel, featuring the traditional architecture and materials of the region. 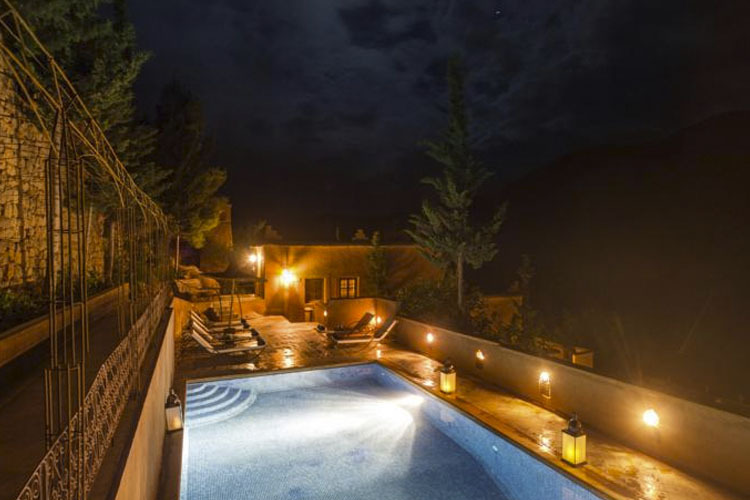 This charming property offers cosy accommodation and great food in a spectacular natural setting. 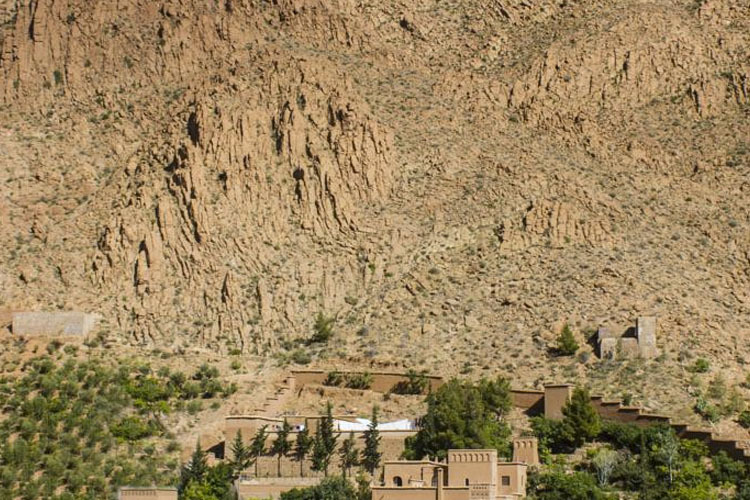 Ideally placed for visiting the Dadès Gorge, with its ochre and red landscapes, Auberge Chez Pierre also arranges a fascinating range of excursions in the surrounding region, to places like the Valley of the Roses or the Todhra Gorge. 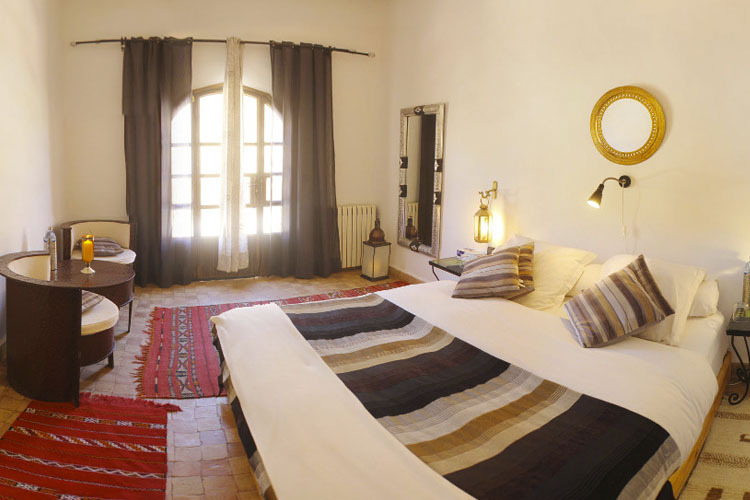 Chez Pierre can also organise hiking trips, mountain biking and even donkey rides for children. 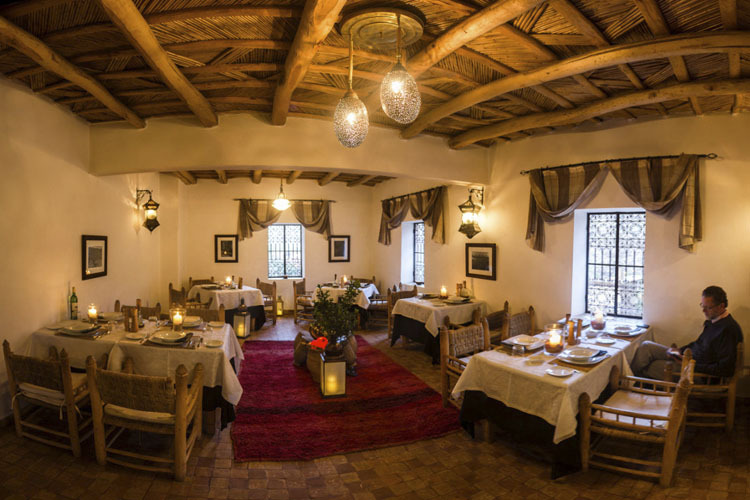 Famous in the region for its fine cuisine, Chez Pierre Maison d'Hôte's in-house restaurant serves innovative European-Moroccan fusion cuisine, based on local produce and flavours - a surprising change from the usual fare of tagine and couscous. Chez Pierre also offers simple but delicious lunches, and in the evenings, guests can choose from à la carte dining or a delicious daily changing five-course set menu. Other facilities include a number of secluded, shaded patios and gardens, and a large outdoor swimming pool. 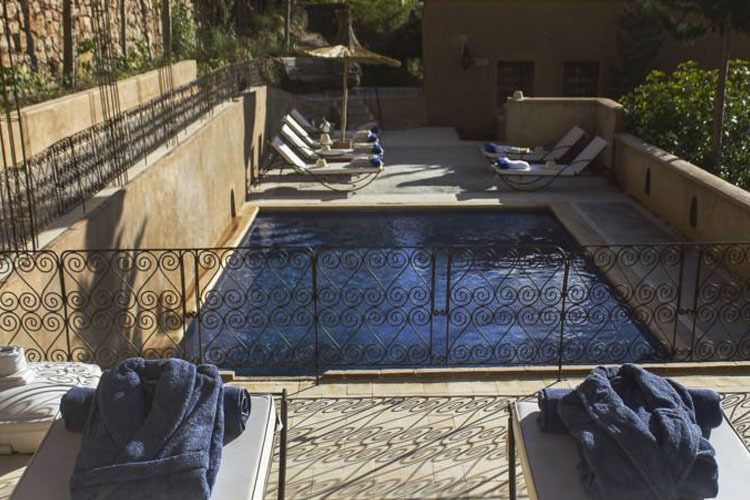 These twin/double rooms feature a private bathroom, a private pool, bathrobes and patio. 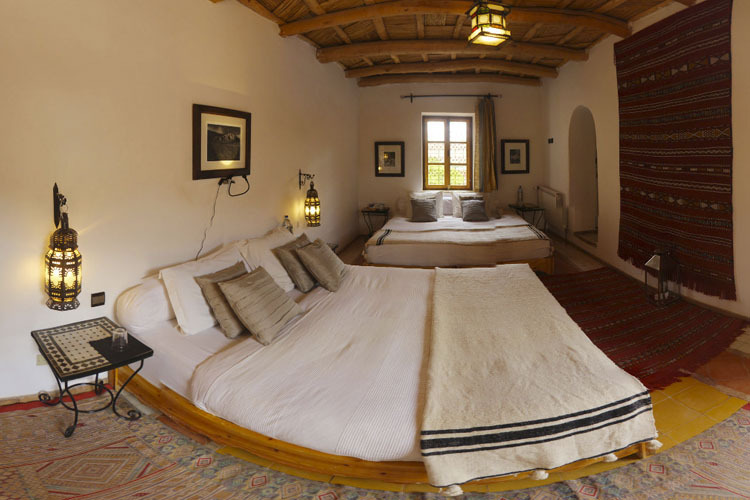 Room size 28 sq m.
This suite features a small sitting room with wood-burning stove and a little library. It also comes with bathrobes and a private pool. Private bathroom. 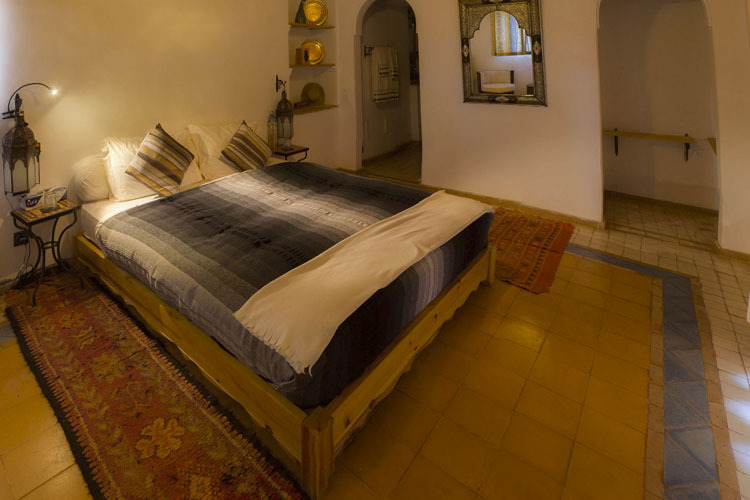 One large double bed. 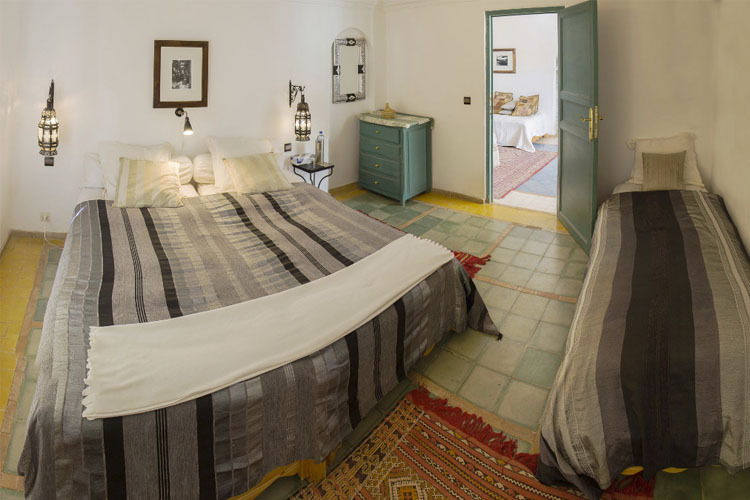 Suite size 32 sq m.
This quadruple room comes with a private bathroom, bathrobes, a seating area and a private pool. 45 sq m.
These suites feature a seating area, a private pool and bathrobes. En-suite bathroom. 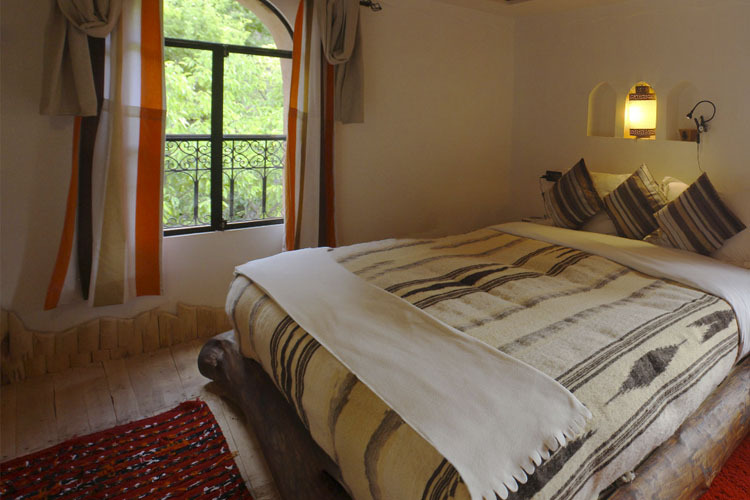 The suites have two bedrooms, each with a king-size bed. Suite size 56 sq m.
These immense apartments feature a private pool, a sofa and a tile/marble floor. Private bathroom. Apartment size 95 sq m.
Airport transfers and shuttle services are available on request. Charges apply. Ouarzazate Airport is served by a small number of domestic and international flights. 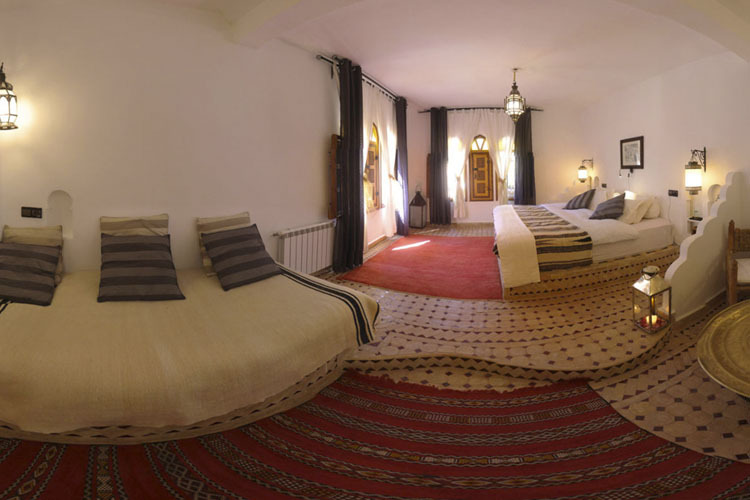 The nearest major airport is Marrakesh Menara Airport, at 344 kms. Each rate may have its own cancellation policy as determined by the hotel. The hotel may charge the guest in accordance with hotel policy. All costs and conditions may change or vary between booking channels and should be understood (known and accepted) upon booking. Languages spoken: Arabic, French, English, Italian, Portuguese, Spanish. Smoking policy: Non-smoking rooms. This property also has a designated smoking area. Credit cards accepted: Credit cards not accepted. 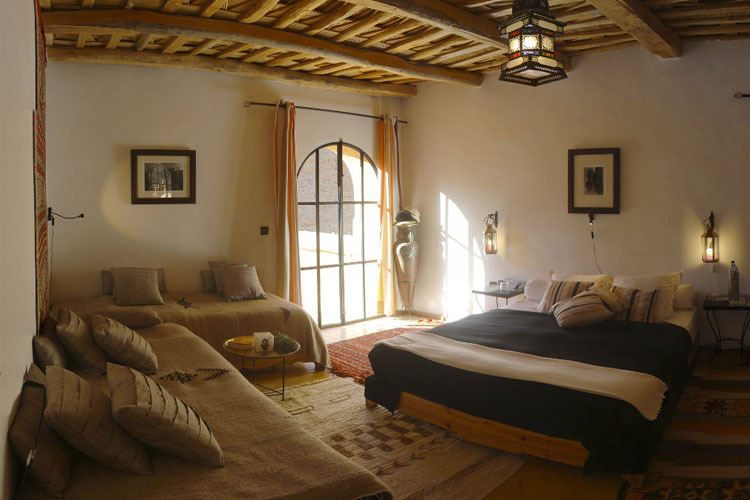 Nearest airport: Ouarzazate Airport - 139 km.